This Monday’s selection is a Disney live-action movie from the 1970’s starring Darren McGavin and perennial Disney favorite Don Knotts as hapless safe crackers who end up with Academy Award winner David Niven’s grandchildren who are running away from their grandfather during a school break they thought they would be spending with their mother played by Agent 99 herself, Barbara Feldon. Oh and the kids have a pet. A skunk. The kids think their plan is fail-safe, they plan to hide out with Duke (McGavin) and Bert (Knotts) and exhort money from their grandfather to finance a trip to meet with their mother in Hong Kong where she is on business and to help Duke and Bert pay off loan shark Big Joe for his money he invested into their failing garage. They had returned to their life of crime hoping to rob an airport safe (do airports still have safes?) in an effort to get money for Big Joe only to end up tripping an alarm and ending up in the same cab as the kids. Unfortunately, their grandfather’s butler sees the kids jump in a cab and follows them and thus, he is onto their plan all along. The police are also called in, the same detective assigned to the safe-breaking case is also assigned to the “kidnapping.” All the while, Duster, the skunk, provides tons of unusual antics for the crew to be involved in. Ultimately, things do all work out for all involved and best of all, the children and their grandfather begin a new and hopefully better relationship. There is no profanity in the movie and it has lots of silly laughs (mostly at Don Knotts’ expense), a car chase that is more hijinks than danger and the only thing close to scary is Big Joe breaking a pencil. I highly recommend this movie for families to watch together as one of the main themes is the danger of a parent’s work overtaking their role as a parent (there is no mention at all of the children’s father which is different for Disney, typically it’s the mother who goes missing or dies). Enjoy! 1) We got through Shelby’s first ever dentist appointment. And her teeth got cleaned. It was wonderful, so much better than the experience I had been dreading! 2) The end of Jeff’s school year is in sight. School will be out for him on June 9 and he will be home for the summer June 14…less than a month away! 13 days, but who’s counting! We made it, a whole school year. 3) I am hesitant to share this because we had several such promising false starts, but this time, it seems to be taking…Joseph is successfully potty training. He has now had nine consecutive days in big boy underwear. We’ve had some poop accidents but no pee ones and we have made it to the potty to poop at least once. I am keeping him in diaper at night because I do not trust his nighttime bladder control yet, although about 3 am on Tuesday morning he was banging on his bedroom door yelling, “NEED TO MAKE PEE ON POTTY!” which is very promising. And as Will observes Joey he has spontaneously taken his diaper off and used the potty a few times already (oh that this child would potty train himself, I would be in heaven!). 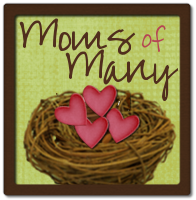 Small Successes is now hosted by Sherry Antonetti here. Hallie, one of my mostest favoritest people in the whole wide world (and that is the God’s honest truth) is launching her own personal shopping business. Click here to find out more (she links to it in her post) and find out how you can win a give-away! I would consider it a personal favor if you just click and look and if you know someone who might need her services (or if you do) consider passing her name along! 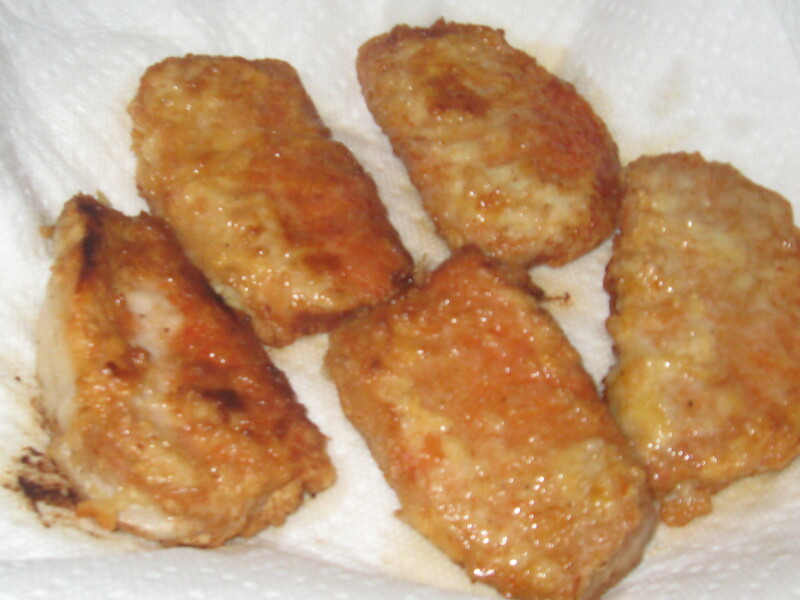 Fry pork chops. I’ve never prepared pork chops at all. I didn’t want to mess with the oven or grill, so I made an executive decision. I was going to take the training wheels off without Jeff. So, I seasoned my flour with salt and pepper, I cracked an egg and I prayed for the best. I didn’t poison anyone. They were tasty AND all 3 kids ate them and asked for seconds. Really, someone wake me up, please, that didn’t just happen! Then today I did this. 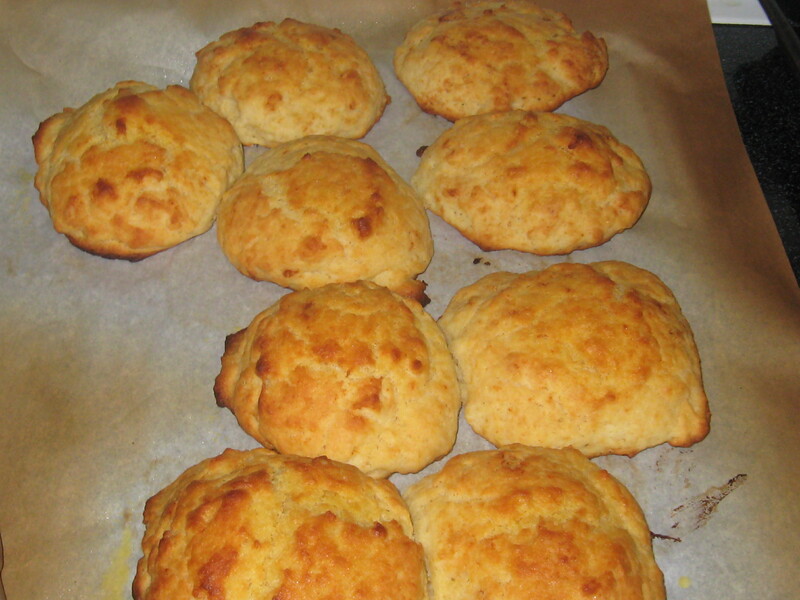 I made drop biscuits for the first time ever. I love them because they are fast, tasty and I already have everything I need in the house to make them at a moment’s notice. For buttermilk I keep the powdered stuff in the fridge and just make a cup or so when I need it. I am thrilled that I will be able to start cooking “real meals” like Mattie Riggsbee. Now to always see in my fellow man what she does in hers…. 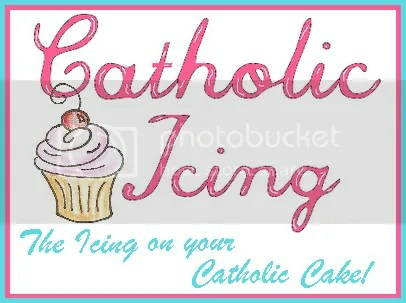 I’m taking a cue from Munchesmom over at Four Blessings Academy and doing yet another meme. This one is hosted by Judy. Here is what you are supposed to do: share five things this week that you are truly thankful for. Love sharing these! 1) I am thankful for a wonderful pediatric dentist in our area who specializes in special needs children. She made Shelby’s first dentist visit memorable for the positive attributes. 2) I am thankful for my wonderful friend and “Big Sister” Sherri. She always makes me laugh and smile. I just wish we lived closer. 3) I am thankful for the prayers and thoughts of so many wonderful friends for my family. 4) I am thankful for my husband’s job even though it means he spends long hours away from us. It means we also have a roof over our head, food in our stomachs and clothes on our backs. 5) I am thankful that my husband prioritizes his time at home as time to be with the family. 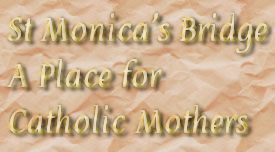 Please join everyone over at A Thankful Woman’s Book of Blessings for inspiration and gratitude. My uncle Jeff is undergoing surgery for a detached retina today. He is legally blind and his continued independent living and holding down a job are dependent on the outcome of this surgery. I appreciate all your prayers! Although Ginny may or may not be putting up a new post today because she may or may not be welcoming baby # 6, I couldn’t miss this week. 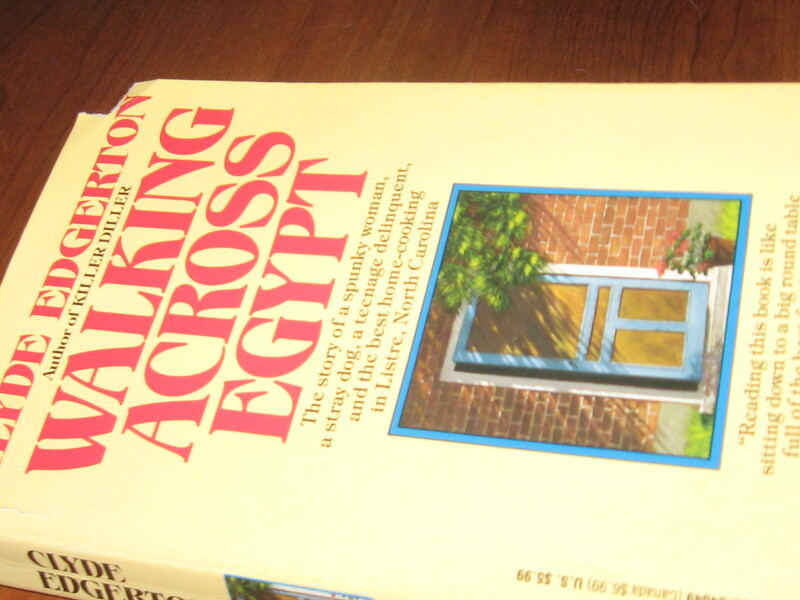 Walking Across Egypt was Clyde Edgerton’s second book. It is the story of a 78-year-old widow in ficitonal Listre, NC who finds herself first with a stray dog and then a stray boy showing up. Mattie Riggsbee, the story’s protagonist, is a woman who lives in the presence of God. So, when the stray boy turns out to be an escapee from the youth correctional facility and the deacons and elders at Listre Baptist Church feel that her involvement with him disqualifies her from her leadership positions, Mattie realizes God speaking in her life. In her Sunday School class they are studying Jeremiah 31 and the verse that jumps at her is Jeremiah 31: 34 No longer will they have need to teach their friends and kinsmen how to know the LORD. All, from least to greatest, shall know me, says the LORD, for I will forgive their evildoing and remember their sin no more. Mattie then remembers that Jesus gave the call to serve the least of his brethren in the 25th chapter of Gospel of Matthew: And the king will say to them in reply, ‘Amen, I say to you, whatever you did for one of these least brothers of mine, you did for me.’ Mt 25:40. Mattie, once the person in charge of collections for international missions, realizes that Jesus’ commandments were called for at home too. Mattie, who bemoans that her children remain unmarried and childless, realizes that her brothers and sisters in Christ need her as much as her children. Mattie chooses to live out her faith as opposed to the many at her church who choose to talk about it figuratively. My favorite part of this book aside from Edgerton’s clever dissection of theology is the food. Mattie’s meals made my mouth water! And I’ve decided that while Jeff is home this summer, we’re going to have some real meals. 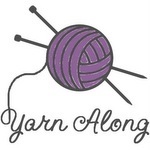 Please hop on over to Ginny’s even if Yarn Along isn’t happening this week to check for baby updates!